Manchester United will be looking to keep within touching distance of Manchester City with a win at high flying Watford on Tuesday night. We were 1-0 winners over Brighton & Hove Albion side on Saturday and face a Watford side who are coming back from St James’ Park having thrashed Newcastle 3-0. Our goalkeeper could be busy this evening when he comes up against a Watford side who have been threatening a few opposition goals of late. Richarlison is lively, whilst Will Hughes is in form and Andre Gray is the striker. With a trip to Arsenal on Saturday I wouldn’t be surprised to see Antonio Valencia get a rest. The following weekend we’ve got Manchester City so I expect a lot of rotation from Jose over the next couple of games. Matteo Darmian can be good at man marking so I think he’ll be given the duty of sticking with Richarlison for 90 minutes. Partnered Victor Lindelof at the weekend and I can’t see Chris Smalling being benched for this away game with both Eric Bailly and Phil Jones sidelined. Whilst Victor Lindelof received a lot of praise for his performance in our 1-0 win over Brighton I think we’ll see Marcos Rojo return to the starting lineup after playing his first game of the season at FC Basel a week ago. He’ll need some game time under his belt during this busy fixture period. 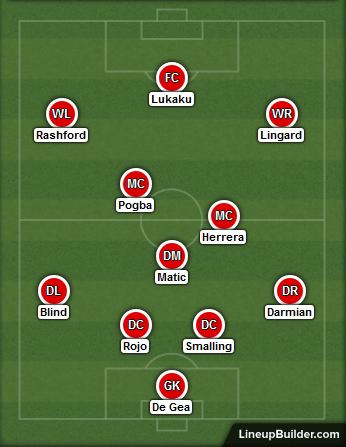 I think Ashley Young will be rested at left-back for the weekend, in which case Daley Blind should get the nod ahead of Luke Shaw. Shaw’s future looks to be elsewhere whilst the Dutch international has been well rested over the past few weeks. 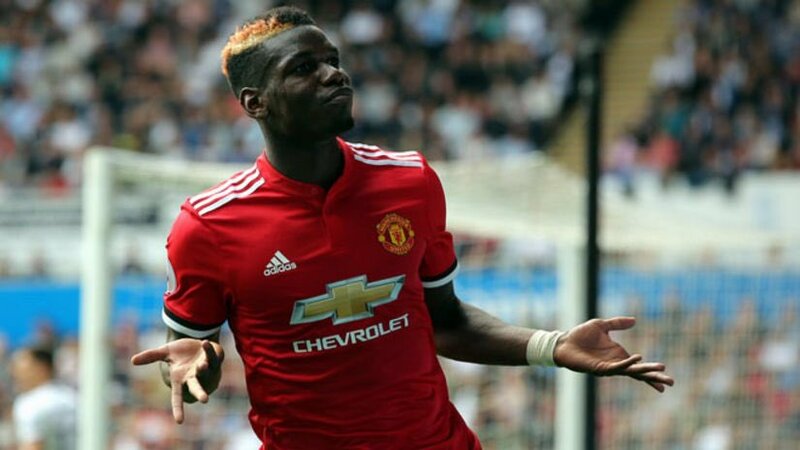 Jose claimed that Nemanja Matic and Paul Pogba were left a little exposed at the weekend so I am thinking we’ll switch back to a central midfield this evening, particularly as Watford have goals in their midfield. Nemanja Matic could have a tussle with Abdoulaye Doucoure in the middle of the pitch. One player who is sure to get stuck in against the Watford midfielder is Ander Herrera. Whilst the Spaniard hasn’t offered us much going forward of late his energy at Vicarage Road will be important to make sure the hosts don’t see too much possession inside our half. Marouane Fellaini hasn’t travelled with the squad. The man of the moment. Paul Pogba is looking back to his best and will be the creative force in our team from the middle of the park. Although Watford’s defensive record has improved in recent games they have been leaky at the back for most of the season and I can see the French superstar opening them up. Didn’t feature against Brighton so I think Jesse Lingard will get the nod ahead of Juan Mata down the right wing in this one. The Belgian is going to lead the line up front this evening with Zlatan Ibrahimovic an option from the bench again. I think the Swede will make his first start of the season this time next week in our Champions League game versus CSKA Moscow. At Watford I want to see Romelu Lukaku battering their defence and getting on the scoresheet. Kiko Femenia likes to bomb forward from right-back for Watford so hopefully we can expose them here through the pace of Marcus Rashford. The youngster likes running at defenders and I think he can be a match winner for us at Vicarage Road. If not, Anthony Martial can replace him from the bench.